Rebellious Croatian striker Nikola Kalinic has rejected a World Cup runners-up medal gifted him by his team-mates and coaching staff. 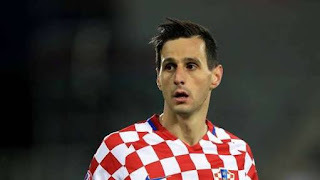 Kalinic did not play a minute at the 2018 Fifa World Cup in Russia. Croatia head coach Zlatko Dalic had sent him home after the country’s opening game against Nigeria after he refused to come on as a substitute in their 2-0 win, citing fitness issues. “Thanks for the medal, but I did not play in Russia,” Kalinic told Sportske Novosti.